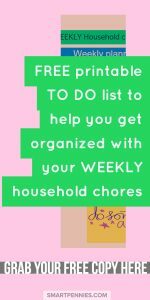 How about a FREE Printable TO DO LIST to help get you more organized? 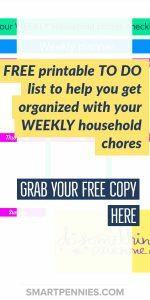 Printable To Do list PDF to download to help get you more organized if you are struggling to find time to do everything at home? 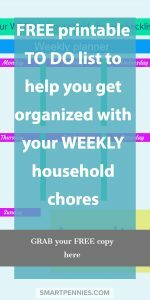 How about a FREE printable to help you get organized? I won’t lie it’s certainly colourful! 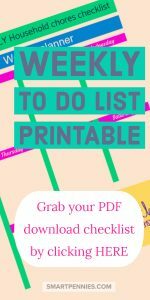 This printable TO DO list PDF will help you become SUPER woman – well slight exaggeration there but it will help you to feel organized and smug! 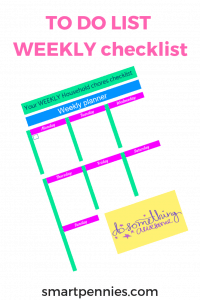 I basically use the printable as a TO DO checklist. 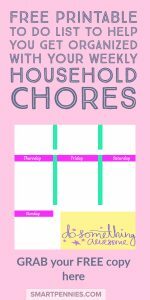 I will add chores I need to get done under each day every weekend either a Saturday or Sunday. 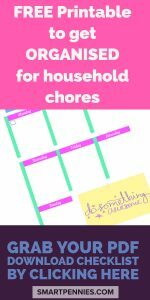 It’s not just a list of boring old household chores I add blogging things I need to get done as well! 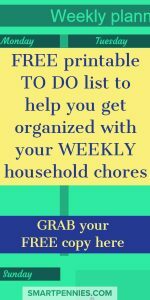 Basically, anything that I need to remember to get done! 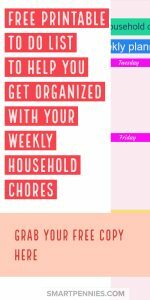 So add whatever you want to this list if you want to use it as a weekly house cleaning schedule then do so there are NO limits! 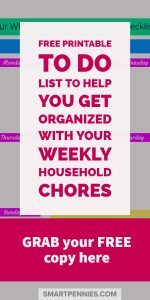 I hope you enjoy my FREE printable to get you SUPER organized – no fancy columns and sections just straightforward TO DO LIST. 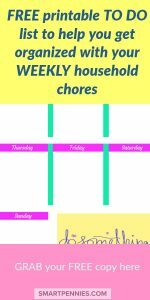 Click on this link to open up a new window with the PDF so you can download it or print it!